Here is the main one: the world of fashion is about creativity and uniqueness, while the world of technology is about efficiency and reliability. But these two worlds don't have to be incompatible. Then come up with a plan and embark on the most exciting journey with you! Getting online is a first step, but succeeding there is a journey. So whatever your situation, wherever you are on that journey, we'd love to hear from you! Founded by Amy Molyneaux - also known as one half of the famed PPQ label - Lelloue is an exclusive resort label designed to create seamless wardrobe solutions from boat, to beach, to bar. Lelloue is aimed at women with a high demand to look good whilst running the show. 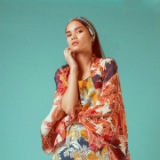 Founded by Manchester-based Arefeh and Sadra Hosseini, TheLuxe London is the leading luxury fashion marketplace and VIP concierge service in Iran, with the ambition to expand across both the Middle-East and China. 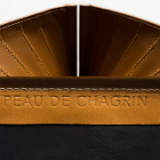 Peau de Chagrin creates beautiful objects that are beautifully made. We travel across Europe to uncover the disappearing knowledge applied to the artisanal making of accessories and preparation of materials. The objects are born from an intimate collaboration with master craftsmen to transform an idea into something physically tangible, designed to last generations, not years. The accessories are produced in limited volume as they are hand made with care to superlative standards and avoid toxic treatment of materials commonly used in the production of most leather goods. Based in London, Georgia Hardinge launched her label in 2010 and began to build her identity as a sculptural designer. Georgia’s Autumn Winter 2011 “Merit Award” win granted her first stand-alone runway show at Fashion Scout. Since then she has continued to shine with celebrated collaborations including Victoria Secret and Lancôme. Most recently Georgia was awarded the “BFC Contemporary” sponsorship by The British Fashion Council. Design duo Sarah & Sorrentino is Sarah Pasricha and Louisa Sorrentino. Sarah started out working for Ralph Lauren in New York before embarking on a career in textiles for film. Meanwhile, Louisa studied for an MA in Textile Design at Chelsea College of Art & Design. The pair then worked together for many years as Textile Artists for the Film Industry. REIN presents an Innovative women’s fashion house: A fusion of international style, quality and innovation, built upon a contemporary and forward thinking design approach. Based in London, the brand offers the wearer the ultimate in statement, one-of-a-kind design. They've dressed international film stars and French aristocrats. Couturiers since the 1980s, Didier Lecoanet and Hemant Sagar won numerous awards, including The Golden Thimble (Le De D'Or), the Swarovski Creation Prize 2005, and the Designer of the Year Award - Miami 2007. Lecoanet Hemant's work is in collections at London's Victoria and Albert Museum, Berlin’s Deutsches Museum, and Paris’ Musée des Arts de la Mode. In 2010, founder Richard Hoptroff started Hoptroff London to develop smart, hyper-accurate watch movements to create a new watch brand. 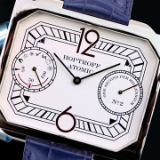 They were the first watchmaker to use an atomic clock in place of a balance spring or a quartz crystal, creating timepieces that are accurate to one second every thousand years. Hoptroff London has featured in many publications, including The Financial Times, Wired, Wallpaper* and The New York Times.